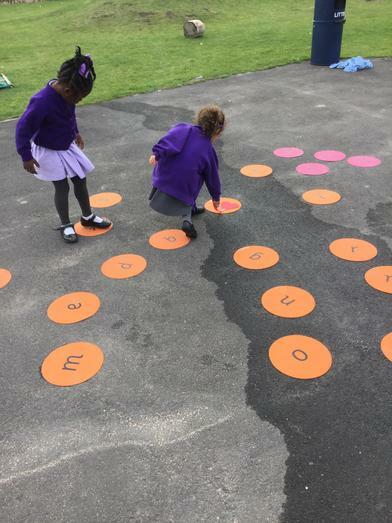 The children have been continuing to learn different letters and sounds in phonics this week, focusing on y, w, th, z, ch and we have been continuing to practise recognising and blending sounds to form words during our exploring time. 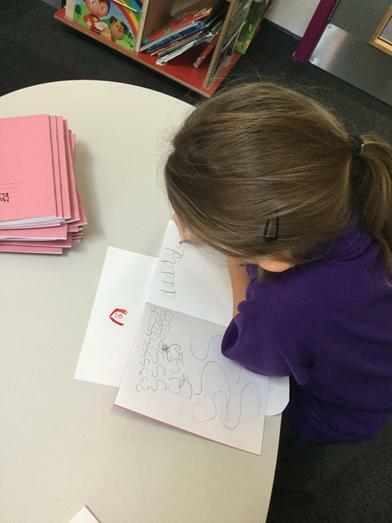 The children have now all been issued with a reading diary and reading books that are renewed and sent home weekly. In maths this week we have continued to learn about numbers and the number system, focusing on the numbers three and four. As our current topic 'Do you want to be friends?' 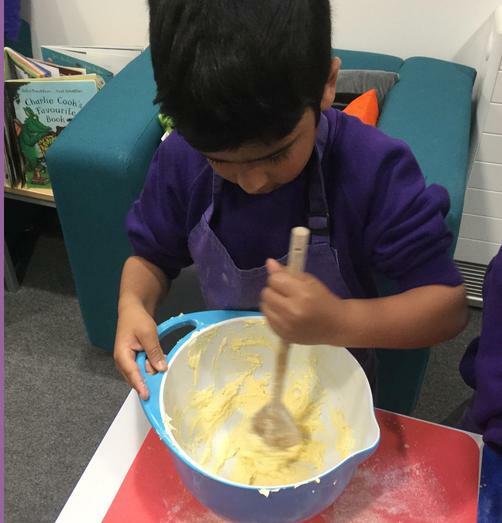 comes to an end this week, we celebrated the end of our topic by baking 'Emotion biscuits'. 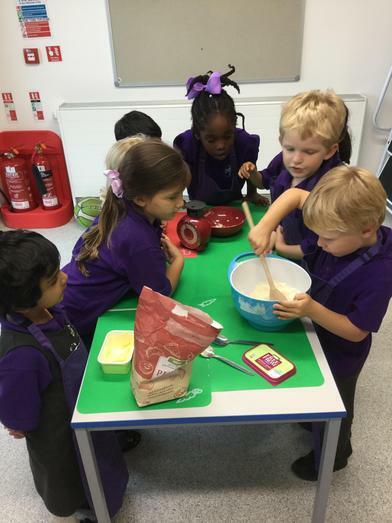 The children worked together to weigh out the ingredients, make the mixture and think about what emotion (happy, sad, scared, excited etc.) they would like to put on the face of their biscuit. During our music session this week, we explored different instruments and the sounds they make. We played a game which involved trying to recognise the instrument, when it was hidden, just by hearing the sound it makes. 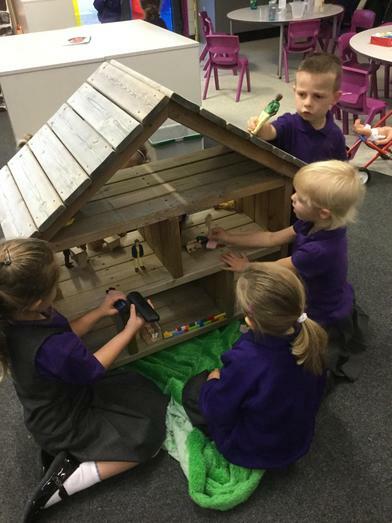 Below are some photos of what we have been exploring in our independent learning time. This week the children have continued with learning new phonic sounds and learning to blend (working out what the word is when hearing the given sounds e.g. m-a-t: mat) and segment (working out what the sounds are in the given word e.g. mat: m-a-t). They have continued to play blending games such as what sound does a d-o-g make? What sound does a c-a-t make? etc. In maths we have been looking at the number 2 in detail so that we are completely confident with the number 2 and how it can be represented. We discovered that the number 2 can be represented on our fingers, on a dice, as a numeral and as a Numicon shape and added them to our "Number of the Week Wall". We also looked at where it is on a number line and how we can count actions to 2. As a home learning challenge can you spot the numeral two in the environment? We have also introduced "Princess, Dragon and Helicopter stories" into our week. The children tell an adult a story and the adult scribes this for them. The story is then read by an adult and the children work together to act out the narrative to the class. These will be continued all year and the children will eventually be able to write their own stories. 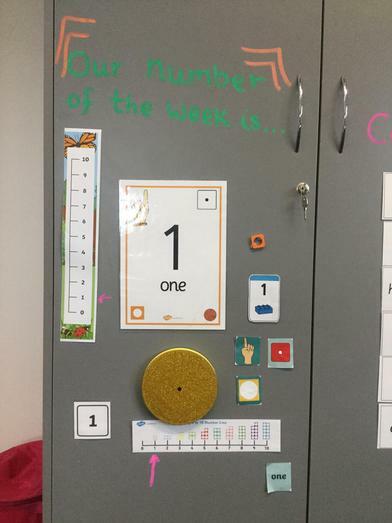 In maths this week we started to introduce numbers and the number system, focusing on the number one. We have been thinking about how number one can be represented in different ways. We have been thinking about taking care of our teeth, we thought about why and how we brush our teeth. The children worked together to think about the actions and sequence of brushing their teeth and we have even been practising with some giant teeth and a giant toothbrush! 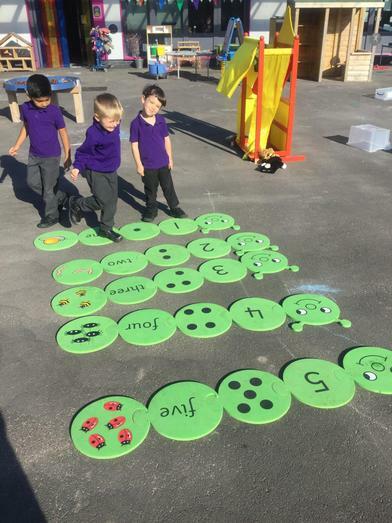 We have been continuing to learn letters and sounds during phonics and have been using this in our exploring time. 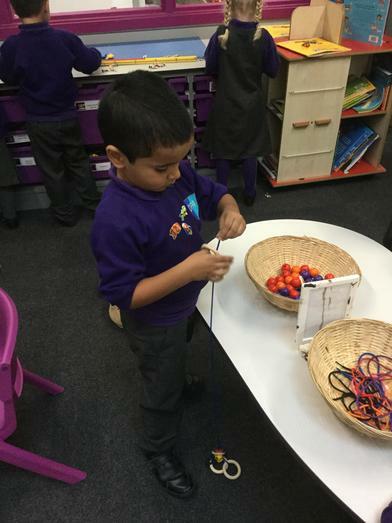 Below are some photos of what we have been getting up to in exploring time! This week in Reception we have continued our topic "Do you want to be friends?" and have learned about similarities and differences between us. In pairs, we observed our own and our partners features and discussed what was the same and different, for example hair colour, eye colour, height etc. This week we also celebrated harvest festival as a school. Reception worked hard to learn and perfect the harvest song "Dingle Dangle Scarecrow" and presented this in Harvest assembly on Wednesday, they were fabulous! In maths, we have been introduced to the new concept "capacity". 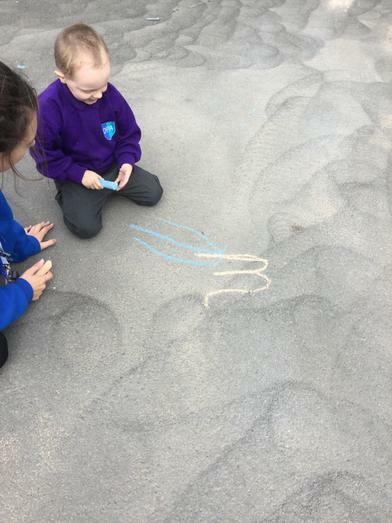 The children learned language "full, empty, half full and half empty" and explored this in sand and water with different sized containers. 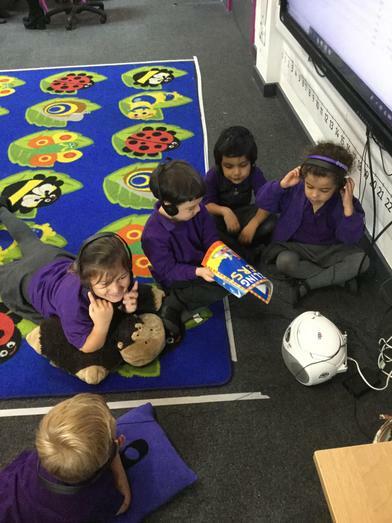 This week we have been continuing our phonics sessions, focusing on the sounds, 'i', 'n', 'p', 'g' and 'o'. 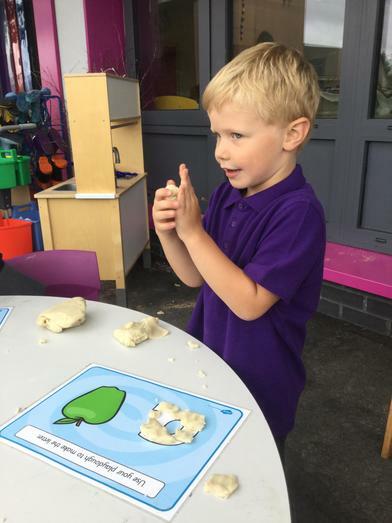 The children have been encouraged to use the sounds we have been learning recently in their exploring time too. 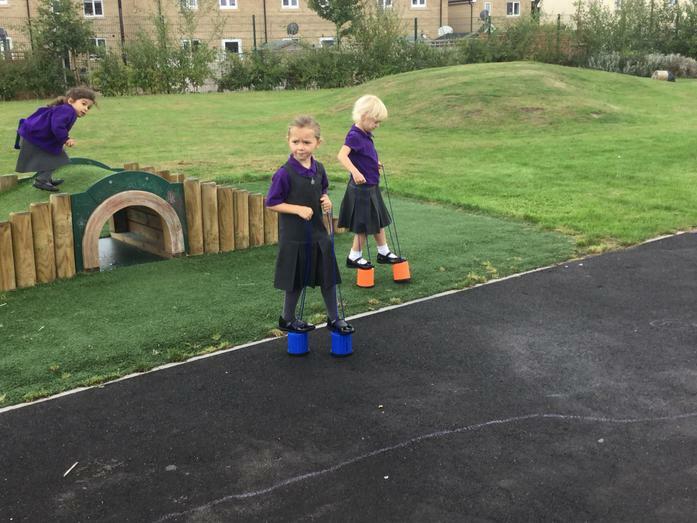 The children have become familiar with the school routines and learning environment now, and have been busy exploring all the learning activities across both classrooms and the outside area. We have also been busy preparing our Harvest performance that we will present in assembly next week. Although the weather has been a little unsettled this week, this has not stopped us having lots of fun in the wind! Reception have had a fantastic first full week at school and have fully immersed themselves in our first topic "Do you want to be friends?". 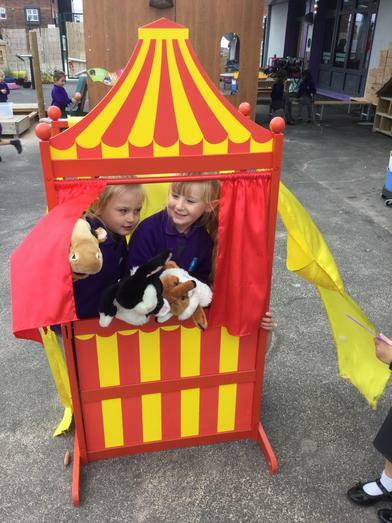 To start our topic and continue a happy beginning to Reception, the children have taken part in a number of activities that encourages making friends with the other children, this is then extended into their exploring time where these friendships can develop. 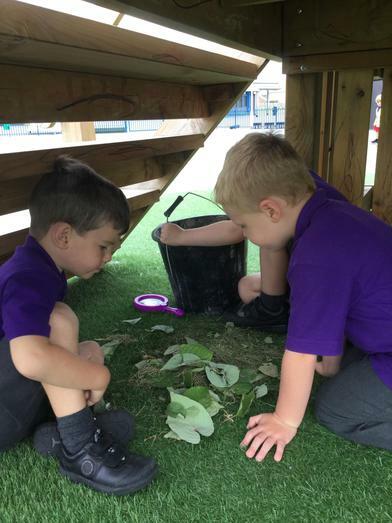 During exploring time, the children have continued to explore the two classrooms and our outdoor area. Activities available included role play in our baby hospital and home corner, writing our name with letter magnets, making necklaces for a friend and using mirrors to paint our own faces. This week we have also started our phonics lessons. We have learnt to say, recognise and write the sounds, 'm', 'a', 's', 'd' and 't' and have also started oral blending. A possible home learning activity could be to play "Fred Simon Says" - for example: "Simon says touch your h-ea-d, Simon says touch your f-ee-t etc." 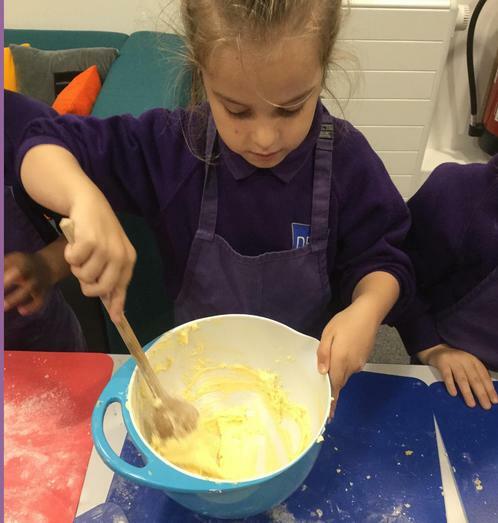 As you can see from the photos below, over the past couple of days the children have been busy getting to know one another, the school routine and the learning environment. 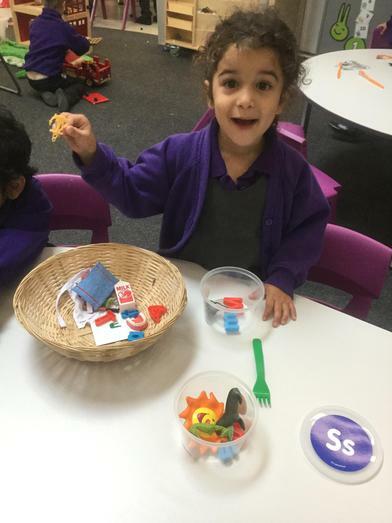 All the Reception staff are so pleased with how well all the children have begun to settle into school life- we look forward to another great week next week!